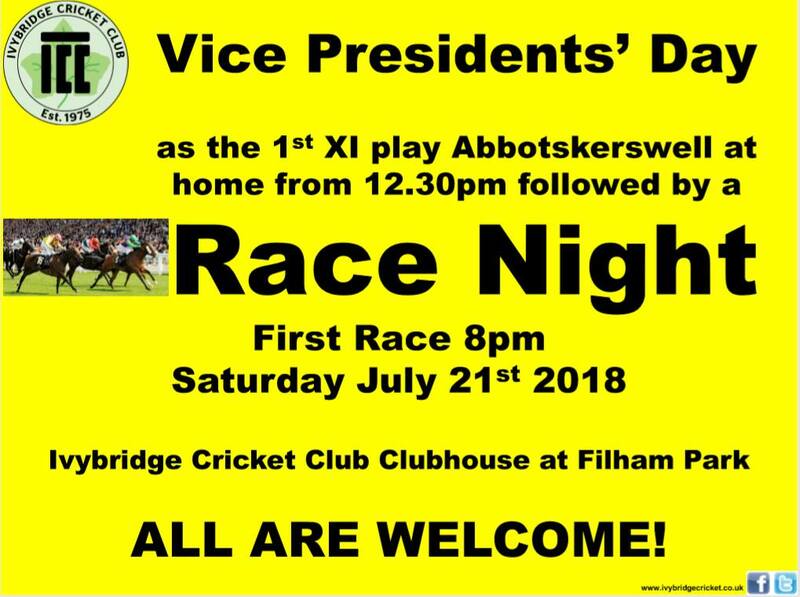 On Saturday 21st July, whilst the 1st team play Abbotskerswell at home, it will be VPs day. In the evening there will be a race night and el capitano, Harry Solomon, wants to encourage everyone to wear the most horrific shirt that they can find. Think horrible patterns. The first race will be after 8pm with half price drinks from 8pm-10pm for anyone who watches the England semi-final down the club on Wednesday night.